With eMerchant Pro, you can avail an Offshore Merchant Account for your business to progress efficiently and without any obstacles. There are few service providers interested in offering impeccable solutions to the high-risk businesses and eMerchant Pro is one of them. We offer an awesome facility to merchants seeking an offshore merchant account for their business. High-risk industries are mostly not offered a merchant account due to high chargebacks occurrence in their business. If you are a person dealing in high-risk business and need an accurate solution for payment processes then you need a merchant account to overcome the problem. With the eMerchant Pro facility, you can handle your payment processes. There are gateway solutions such as 2 d and 3 d which create an awesome solution for your business in order to drive in the right direction. The gateways offer a secure solution to your business as your website is integrated with tech support services and this makes your payment secure with PCI-DDS, API, SSL etc.facility. We are exclusive in facilities and make your business processes work without a delay. If you are a businessman and looking for an Offshore Merchant Account with credit card services then eMerchant Pro offers a right way-out for your transaction process. With credit cards, we are there to assist you in day-to-day businesses and offer you a business account with several credit cards which are internationally accepted. Your transaction is safe and secure with our credit card processing facility. You can make your business transaction processes work without any problem. The credit cards such as Visa, JCB, MasterCard etc. are offered by us for offshore business account solutions. If you are a businessman and looking for an offshore business account with credit card services then eMerchant Pro offers a right way-out for your transaction process. With credit cards, we are there to assist you in the day to day businesses and offer you a merchant account with several credit cards which are internationally accepted. Your transaction is safe and secure with our credit card processing facility. You can make your business transaction processes work without any problem. The credit cards such as Visa, JCB, MasterCard etc. 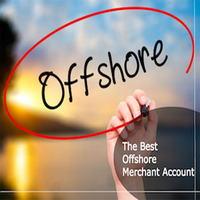 are offered by us for offshore merchant account solutions. Make your business flow with excessive income with credit card processes. With eMerchant Pro solutions, the merchants can avail international currencies if they are looking for international business or dealing in high-risk. With numerous currencies available, you can attain an Offshore Merchant Account that can make you gain a lot of profits and you can also receive in local currency also. There are several currencies which are internationally available for merchants and consist of USA Dollar, Australian Dollar etc. and are necessary for progressive business. Want a solution to your international business; connect with eMerchant Pro merchant account services! If you are a business owner and want to open a business account, an Offshore Merchant Account is necessary for a safe payment process. eMerchant Pro offers solutions to your businesses and makes you avail offshore business account as we have vast contact with numerous acquiring banks from all the counties. This offers easy solutions for the merchants to accept our service. We have a team of specialists who can offer you exact solutions once you contact them through an online application form or just calling them on a prescribed number. Once you contact us for assistance, you are offered all the info regarding your merchant account. The experts will need all vital documents along with an online application form and then your documents are viewed by them. Once it is assessed by them, your credentials are sent to the acquiring banks for the approval process. The acquiring bank will only consider your application after reviewing your documents for a merchant account. Obtain an international merchant account with the aid of eMerchant Pro services.